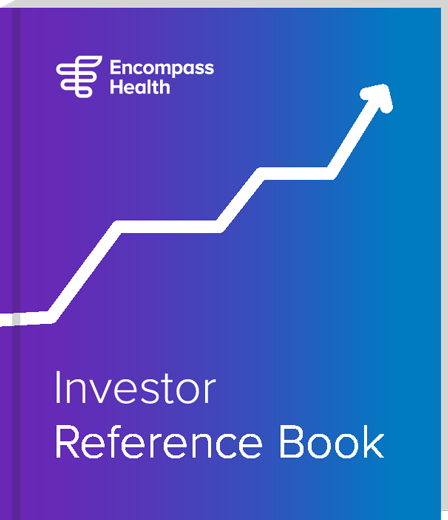 Joint ventures with acute-care partners comprise one-third of Encompass Health’s inpatient rehabilitation hospital portfolio. Outcomes in both operating segments exceed national industry standards. Treatment of more medically complex patients at lower average costs than other post-acute providers through superior clinical protocols, economies of scale, and technology-enabled business processes. Both of the Company’s segments benefit from favorable demographic trends and the nondiscretionary nature of many conditions treated.